Junior running back Greg Bell is a man of few words. 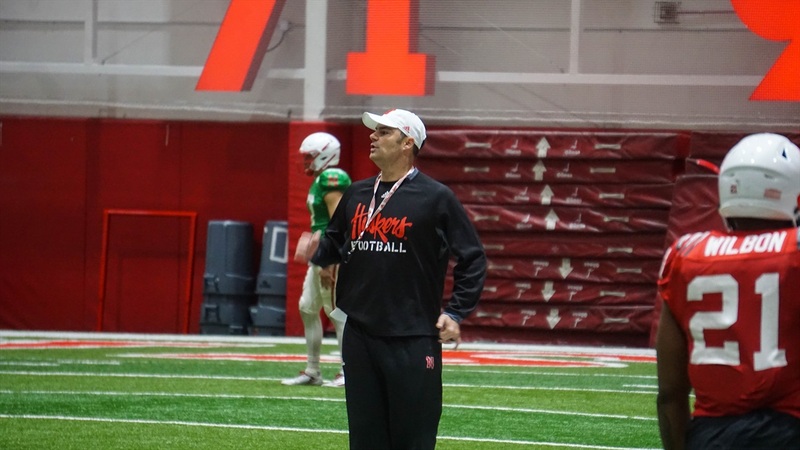 In his first group media interview at Nebraska on Tuesday, the junior college transfer was short and to the point in his responses, but he made his message very clear. “My approach is just coming in, working hard, keeping my head down and just working hard, just listening, paying attention to everything and just working hard,” Bell said. That’s a lot of hard work. So much so that Bell sat out Tuesday’s practice because of back spasms, the first time he’s ever experienced them. He’s not worried, however. He’ll be back on the practice field soon. He has a lot to accomplish, and as a junior college transfer, not a lot of time. He and his fellow JUCO players and roommates — defensive back Deontai Williams and wide receiver Mike Williams — are gunning for starting spots. “We all talk about it; we’re all trying to work hard and get that starting spot,” Bell said. If Scott Frost’s heavy involvement in Bell’s recruitment — that was the first name that came out of his mouth when asked which of the coaches handled it — is any indication, Bell has as good of a shot to earn those first-team snaps in the backfield as anyone. The two things Bell knew about Nebraska before setting foot on campus was that Frost played in Lincoln and that the Huskers have a great history of producing talented running backs. He’s hoping to be one of them. Bell’s favorite thing about this offense is the speed. Bell sees himself as a versatile back who can run both inside and out as well as catch passes out of the backfield. The competition for the starting running back spot at Nebraska has only just begun. Greg Bell isn’t a big talker, but he’s made it clear he wants that job and by the time Sept. 1 rolls around, Bell’s hoping to let his play speak for itself.